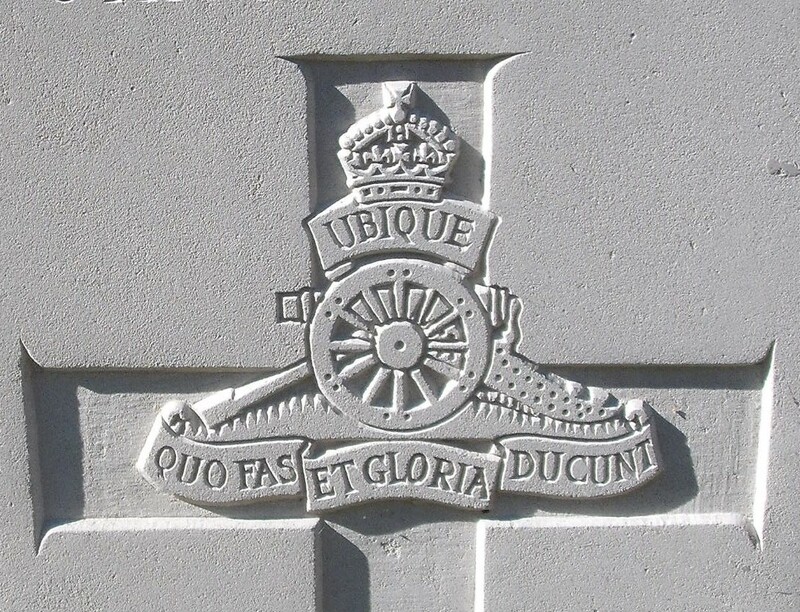 'D' Bty, 186th Brigade, Royal Field Artillery, 39th Division, B.E.F. Next of Kin: Son of Sidney and Selina Hart, Eastnor, Herefordshire; husband of Alice Susan Gladwin (formerly Hart), of Market Hall St., Kington, Herefordshire. William Hart’s brothers who were killed were Allen Richard, and Sidney Joseph. Walter Hart is buried in Oxford Road Cemetery. Oxford Road was the name given to a road running behind the support trenches, from a point west of the village of Wieltje south-eastwards to the Potijze-Zonnebeke road. Plot 1 is the original Oxford Road Cemetery and was used by the units fighting on this front from August 1917 to April 1918. In October 1917, another cemetery, known as Oxford Road Cemetery No. 2, was started close by and now forms Plot V of the cemetery as it appears today in which Hart is buried. After the Armistice, Plots II, III and IV were added when scattered graves from the battlefields east and south-east of Ypres (now Ieper) were brought into the cemetery. The cemetery was designed by Sir Reginald Blomfield.